Somewhere out there lurks the great big garbage pile of sexism. Can you smell it? Or maybe it’s easier to hear: rubbish scattered across comment sections or bowling like leery tumbleweed along the streets. 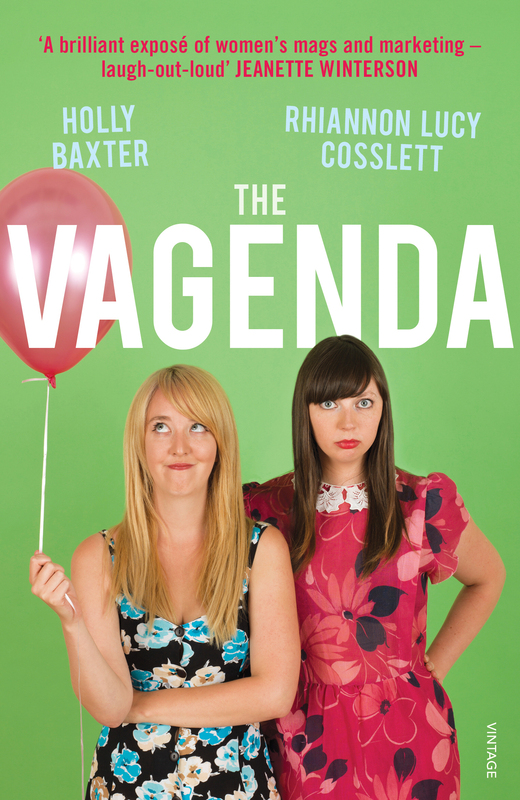 I enjoy blogs like The Vagenda for their unpacking, unpicking or otherwise tearing apart of examples plucked from this (very) figurative monolith of misogyny. But occasionally it’s good to pause for breath and turn attention to something truly positive – such as the Debenhams LookBook. My first glimpse of the LookBook provoked a marathon attempt at multitasking as I simultaneously tried to read the press release, tweet a link to it, nod excitedly, show it to various people and look at the images in detail, all the while attempting to return to what I was meant to be doing (writing an essay). The images have now been floating around for a while, with positive press winging its way from sundry corners of the internet including thos strange bedfellows, Jezebel and the Daily Mail. This is an important point regarding the justifications used by brands when it comes to criticism of the very narrow ideals they favour. Franklin also noted that “samples had to be individually sized” for the shoot. Beckoning in the unexpected incurs costs. The “identikit” body is cheaper to clothe. But although this may go some way to explaining, it cannot justify the large majority of the industry who act as though the only type of beauty is a slender size 6-8 – and gives no reason at all for it being young, able-bodied, and Caucasian to boot. Other well-favoured excuses for fencing beauty within such narrow parameters include the importance of fantasy (because, as everyone knows, fantasy is reliant on a 24 inch waist), giving the problem to another part of the industry (editors blame agencies who blame clients), and the dusty claim that there’s always been a ‘current barometer’ of beauty. All are ways of deflecting attention. Few are willing to do what Debenhams has done, although Franklin stressed the importance of the “debate” that she and others have opened up through initiatives such as All Walks, lectures to “the next generation of creatives” and discussion with Parliamentary representatives such as Minister for Equality Jo Swinson. And this dialogue needs to be upheld by us too, not just as consumers but also as people. We are visible, and should continue being vocal. Unfortunately, the very thing that makes fashion so intriguing, powerful and enjoyable is the same that often leads to criticism – image. Image is what makes the process of getting dressed every day particularly enjoyable to some of us, but makes a body size or skin tone seem inadequate to others. “I recognised that each of my models had the opportunity to inspire their audience by their presence,” said Franklin. “I know that powerful images like this are important because [they] challenge fashion industry dependence on one unachievable ideal. You can show clothes just as efficiently on bodies that are older or curvier, differently-abled or Paralympian.” Fashion has a skewed scale of how it values (and thus validates) beauty, which is frustrating when it’s considered how much capacity it has to influence change. Visual messages, as we know, are direct and effective. It’s worth pointing out that there are various others out there who are also challenging the norms. Ada Zanditon had singer and amputee Viktoria Modesta catwalking through Trafalgar Square in one of her videos, whilst Jayne Pierson has previously employed a range of differently sized ballet dancers to showcase her clothes. There are even flutterings higher up the rungs, with Vogue signing the ten-point Equity Models Code and editor Alexandra Shulman announcing the production of a film showcasing the realities behind the finished model image. It remains to be seen whether ruffled feathers will lead to more brands, photographers, designers and editors taking flight to embrace a more diverse form of beauty. But we can hope – and happily, it seems like we have reason to. I agree that showing such diversity and challenging the norms is a fantastic thing for Debenhams to have done. But when they actually show such diversity to customers on their site, and not just in a Look Book was made exclusively available to the press, *that’s* when I’ll really start to celebrate. Hi Jenny – writer of the article here. I do agree to an extent, but within the fashion industry I feel that anything featuring a more diverse range of models deserves to be written about and celebrated. I guess it’s the concept of walking before you can run. It can’t happen all in one go, and these are incremental steps forward. As I said, it remains to be seen what happens in the future. Thank you – that means a lot to me too! I’m definitely with you on needing that balance. Sometimes it’s easy to forget that alongside the massive pile-up of awful things, there’s some really great initiatives happening too. Perfect. The importance of fashion as well as style in today’s generation is significantly underrated. How you gaze and also costume will be the 1st impression that people possess individuals. To be able to offer folks a fantastic first impact, you need to be dressed up in a way that matches your look and does not appear poor or unpleasant, one in which does supplement you. Personal style is a good way to convey who you are along with what anyone are a symbol of. You will get exciting with your own manner declaration nevertheless, you need to try and disassociate with being too strong as well as it will make your current attire seem like a costume. You might want an excellent look to demonstrate people that an individual invest in your self. Your own clothes really should not be also restricted since this provides a undesirable effect which is really irritating to suit your needs. Your clothes should not be as well unfastened or sagging simply because which makes you look slovenly.